Improve risk awareness of electromagnetic threats and hazards … Enhance capabilities to protect critical infrastructure from the impact of an electromagnetic incident … Promote effective electromagnetic-incident response and recovery efforts. But other agencies have the authority to demand EMP protections be added to seaports and hospitals, telephone networks, traffic lights, railroad junctions, electrical generators and transformers, gasoline pipelines, Wall Street and Silicon Valley, for example. A draft executive order on coordinating national resilience to electromagnetic pulse incidents is currently being developed under the auspices of the National Security Council staff in coordination with Federal departments and agencies. Upon issuance, the executive order will obviously inform—and potentially alter—the Department’s approach to the EMP-GMD threat that is articulated in this DHS Strategy. The EMP threat was recognized in 1962 when a high-altitude nuclear test — dubbed “Starfish Prime” — knocked out streetlights and telephone service in Hawaii, 900 miles distant. Extreme electromagnetic incidents caused by an intentional electromagnetic pulse (EMP) attack or a naturally occurring geomagnetic disturbance (GMD, also referred to as “space weather”) could damage significant portions of the Nation’s critical infrastructure, including the electrical grid, communications equipment, water and wastewater systems, and transportation modes. The impacts are likely to cascade, initially compromising one or more critical infrastructure sectors, spilling over into additional sectors, and expanding beyond the initial geographic regions. 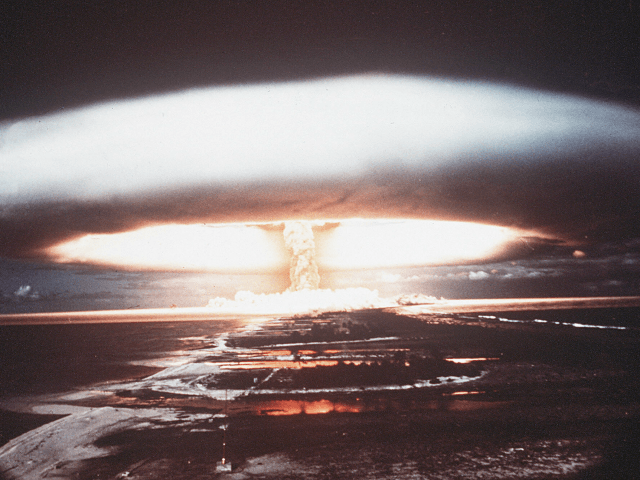 EMPs are associated with intentional attacks using high-altitude nuclear detonations, specialized conventional munitions, or non-nuclear directed energy devices. Effects vary in scale from highly local to regional to continental, depending upon the specific characteristics of the weapon and the attack profile. High-altitude electromagnetic pulse attacks (HEMP) using nuclear weapons are of most concern because they may permanently damage or disable large sections of the national electric grid and other critical infrastructure control systems. The DHS report did not say when White House would issue an executive order.